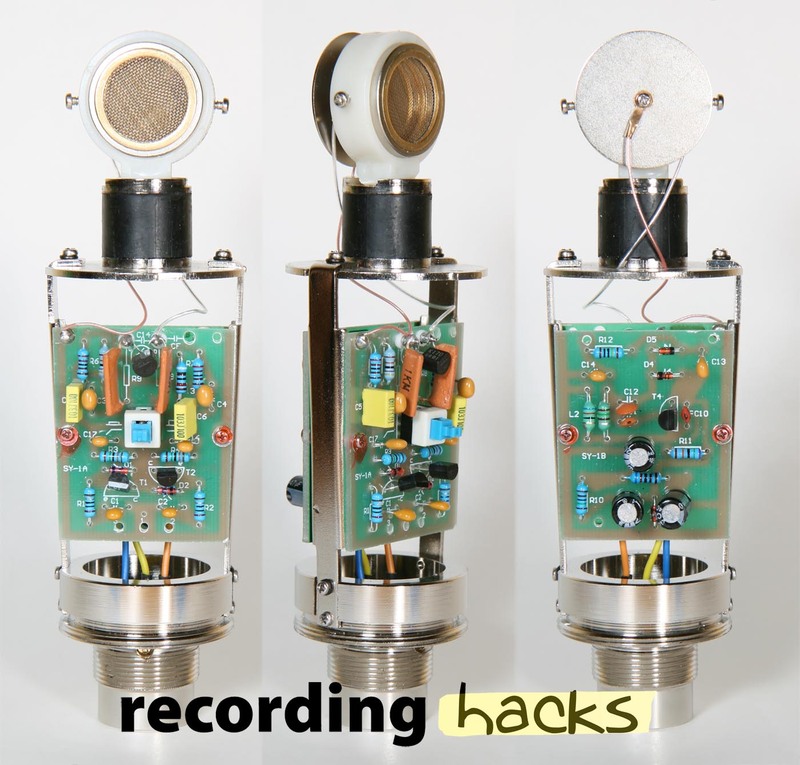 Microphone-Parts.com offers two mods for the SCM-800. Any of the company’s large-diaphragm replacement capsules will upgrade the SCM 800 to have lower noise and wider-bandwidth sound, and give it a more musically useful frequency response. The new DIY circuit mod kit will replace the entire audio circuit with handpicked parts, yielding better transient response, deeper lows, cleaner highs, and much lower noise. 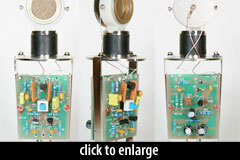 The SCM-800 is a small-diaphragm condenser with a transformerless impedance conversion circuit. The circuit is a derivation of the Schoeps circuit used in many transformerless Chinese-made microphones. In this implementation, a pushbutton switch on the circuit board (not accessible from outside the microphone) enables a high-pass filter, specified as -6dB/octave @ 100Hz. The product package proclaims that the SCM-800 delivers “the superb sound of a classic high-end large-diaphragm studio microphone.” Nonetheless, this is not a large-diaphragm microphone. The mic ships in a storage pouch. No mount is included. Optional accessories include a shockmount (p/n SSM-3), aluminum flight case (p/n SMCC-2), and foam windscreen (p/n FW-2). The Nady SCM-800 is also known as: SCM800.